They Are Billions seemingly came from nowhere. The survival-based RTS appeared back in December and, like its hordes of reanimated corpses tearing through your village, soon took over. 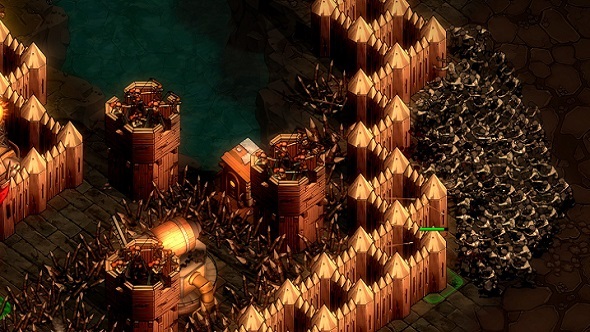 Related: They Are Billions tips to help you beat the final wave. 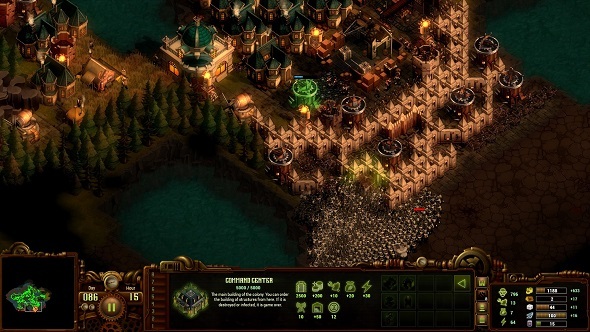 A Steam Early Access game featuring zombies is not exactly a new proposition, but They Are Billions has somehow taken on the life of an airborne virus: infecting conversations across the internet, quickly spreading from one person to another. The secret to its success? It is really, really good. Go figure. Once you have played They Are Billions it burrows into your brain like a mind-altering parasite. Even when not playing, you find yourself thinking up new strategies to prevent the horde from penetrating your defenses: maybe you can funnel the zombies into chokepoints with clever wall placement; or you could concentrate your forces at your most vulnerable segment; or how about clearing the map completely with a band of units as you build? Perhaps this time you will survive for the full 100 days and unlock that new map biome. Then again, you probably won’t – They Are Billions is harder than Bruce Lee if he was wielding nunchaku carved from Chuck Norris’s shin bone. 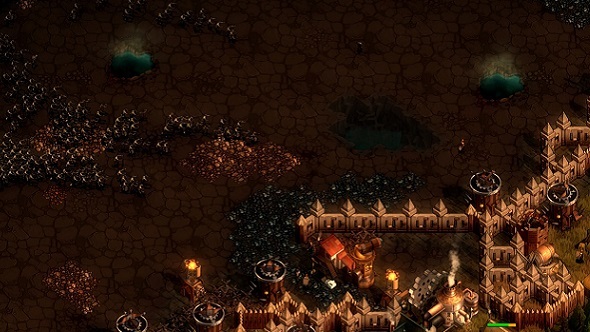 At its heart, They Are Billions is Age of Empires with a focus on turtling. You start with a Command Center, a handful of units, and a tiny portion of the map visible. In the opening moments, you need to use those units to peel back the fog of war as your Command Center generates gold and supplies. Head in one direction for long enough and you will come upon scores of zombies that serve to halt your progress. Eventually, you find the limits of your expansion at every angle. Woodlands, mountains, and lakes are unpassable, creating natural barriers around your fortifications. 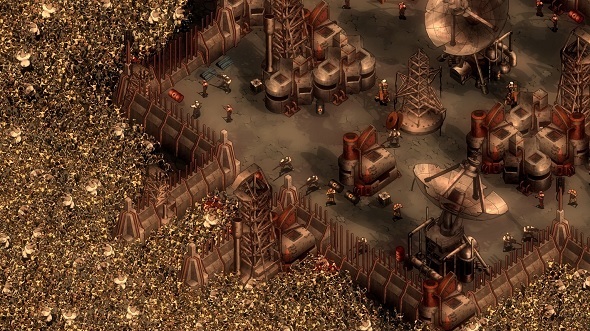 They Are Billions solves one of the most long-standing issues in Age of Empires: what do you do during the lulls between conflict? You have to build fisheries and hunter cabins for food, tents for villagers, sawmills for wood, and quarries for stone, sucking the resources from your surroundings until you can afford a Soldiers Center and create more units. This is essential as your units do not only cost raw resources, they also cost workers, which are generated by every tent or house you own. These houses require food and energy. Mills – which generate energy – need workers, supplied by houses. Everything feeds on everything else so you have to build with thought and care. This setup works because you are continually forced to compromise – you have a goal in mind but it shifts often. You are certainly kept busy. When you have the resources to build a Wood Workshop so you can research more complex structures, chances are you will suddenly be hard-pushed to find enough space for your settlement – all those houses clog up your base. The threat of zombie attacks forces you to erect walls around your perimeter, putting up watchtowers filled with units to keep them at bay, boxing yourself in. One slight weakness in your perimeter can lead to a single zombie breaking through and, if that happens, they will likely go for your tents, creating more undead foes until you are suddenly and brutally overrun. This unrelenting difficulty encourages you to play defensively. You will build Tesla Towers right on the edge of your territory so you can push out a little farther, construct an outer wall, set up some Great Ballistas, and work your way towards more resources, all while pushing the zombies back. When a scripted wave comes – as they do periodically throughout each campaign – you need to be prepared. Build a market and you will be frantically buying and selling wood, iron, and stone to get to the next construction. You are never simply waiting for resources in They Are Billions. Even if you cannot build, perhaps your time will be best spent with a band of roving archers, thinning the herd just beyond your gates. Or maybe you need to frantically set up traps ready for the next wave. They Are Billions makes every decision feel important. You always leave a failed survival run ready to go again as you know exactly what you did wrong last time and so can aim to avoid repeating those mistakes. It might also be the case that the next randomly generated map plonks you in the perfect defensive location – perhaps this next go will be the one that lets you progress. But it is far more likely you will make a silly mistake and be torn to pieces. Still, if AMC’s The Walking Dead has taught us anything, it is that we love a zombie story stuck on repeat.